It is with great sadness that we announce the passing of David Perswain at the age of 78 on Monday, February 11, 2019 at Wawanesa Transitional Care Centre. He was predeceased by his parents Lucielle and Pete Perswain; his brothers Andrew, Johnnie, Archie, Tony, Michael; and sisters Irene, Elizabeth, Lily, Victoria, and Donna. He is also predeceased by Viola Perswain and three grandchildren. Left to cherish his memory, David is survived by his beloved wife of 49 years, Lorraine; his daughter Lorena; son Presley; great-grandson Braden, who was like a son to him; foster-daughter Jackie LaPorte; foster-son Richard LaPorte; and granddaughter Liliana; and from previous family, daughters Evelyn Racette, Margorie Perswain (John), Geraldine Perswain, Pamela Perswain, Joyce Perswain (Albert); son David Neil Perswain; numerous grandchildren and great-grandchildren; sisters Annie McLean, Mary-Jane Tangen, and numerous nieces and nephews. 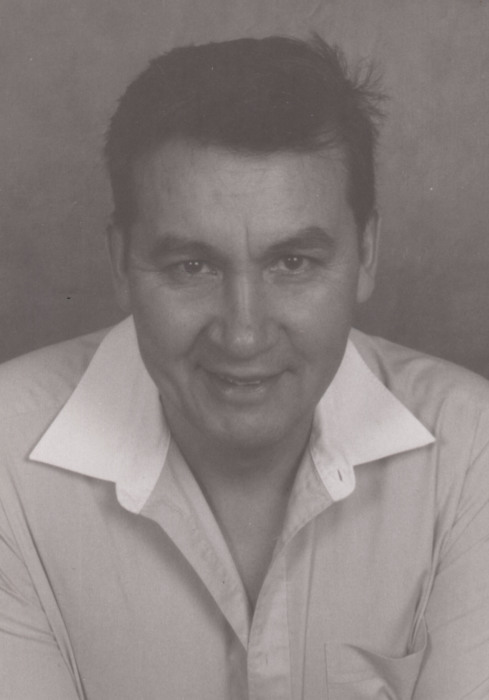 David Perswain was born on June 28, 1940 in Long Plain First Nation. At an early age, he was removed along with the other Long Plain children to the nearby Indian Residential School in Portage la Prairie; he left the school at the age of sixteen at a grade 6 level. Dave was employed by the Carberry potato plant for 35 years. As a supervisor he formed many collegial relationships. He received a Nestle Outstanding Achievement Award for his work, and retired in 2003. For many years, Dave played and coached hockey. He passed on his passion for hockey to his children, grandchildren, and foster children. He also enjoyed playing ball. Another pleasure of his was listening to country & western and gospel music; he was a big fan of Elvis, as his son Presley can attest to! Dave also enjoyed travelling and spent many summers camping in Vancouver area. He was involved with Long Plain First Nation administration for over a decade: first on the Health Board and then serving on the Land Claims Trust Board. He was very committed to fulfilling these responsibilities and deeply appreciated the chance to give to the Long Plain community in this way. In 2007, Dave accepted the invitation to speak to the Truth and Reconciliation Committee about his childhood experiences in Indian Residential School; he broke over 60 years of silence about his experiences in order to speak truth to the TRC. In later life, Dave endured Parkinson’s Disease and other health issues. He continued to enjoy his pastimes and his family to the best of his ability until the end.